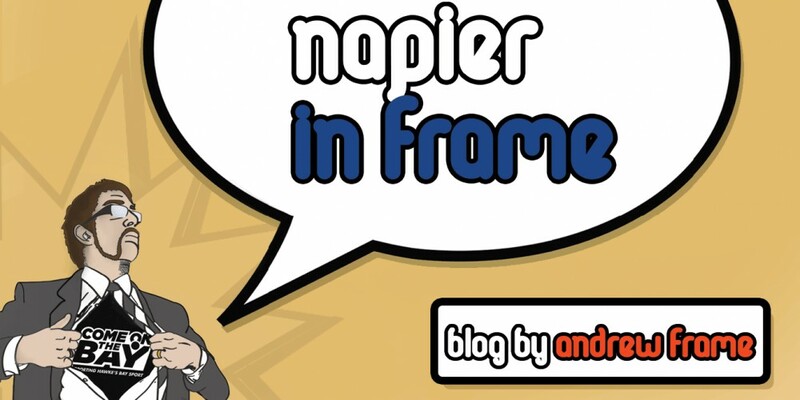 We all know the architectural style that has made Napier famous. But it seems to have fostered more than just a little ‘architectural elitism’. I have a confession to make: I don’t actually mind Napier’s Art Deco architecture. In a way I can’t help but. I’ve lived here all my life, so I have grown up surrounded by it (well, not entirely – until the mid-late 1980’s it was almost all covered up). The thing I detest about it is the imperialism with which the Deco theme, mind-set and all its proponents have smothered practically everything else about the city over the past two decades. I feel Napier’s image, promotion and the central city’s momentum have gone backwards as a result. 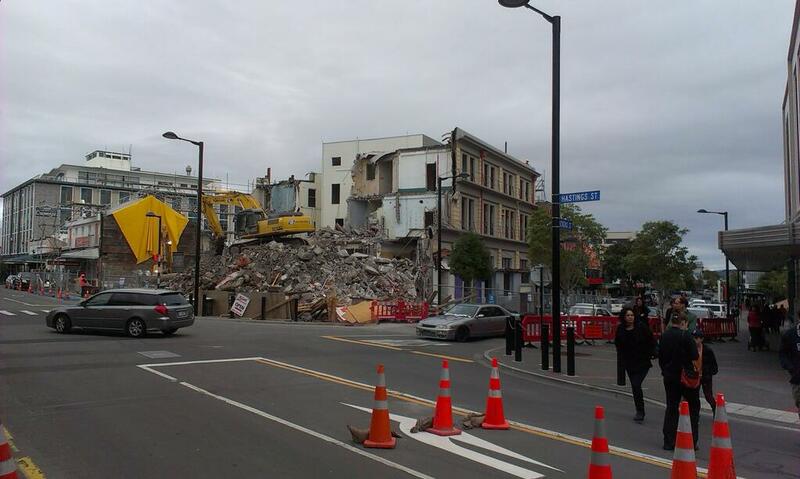 Our departing mayor had her heart set on getting “World Heritage Status” for the Art Deco buildings in Napier’s CBD. She was unsuccessful. Had she got it, there would have much back-slapping and bathing in the glory of such an accolade in the Napier City Council chambers. But if the English “Listed Building” system is anything to go by, NCC’s short-sighted success would have seen anyone owning or occupying one of these buildings facing a massive financial and legal struggle if they wanted to do anything more than change a light bulb in said structure. As it stands, with current earthquake strength guidelines and insurance premiums, many of Napier’s iconic Art Deco buildings face either major renovations to strengthen them or even, heaven forbid, demolition. Many businesses either have relocated or are facing relocation while improvements are made to their current sites and I can’t see their rents / leases going down as a result. This will not help keeping tenants in our CBD, something it has struggled with over recent years. Now we can’t blame the council solely for this situation. As it’s the building owners and landlords who have been milking their cash-cows for all they’re worth. Major lease and rent increases intended to catch up on the elapsed property boom and cover the recent massive increases in insuring properties have been badly timed to coincide with a major drop in sales and spending, forcing many businesses out of the CBD, or out of business altogether. Napier has lost a lot of its unique locally-owned and family-run stores as a result of these increased costs. All too often their place gets taken by yet another Australasian chain store, giving people the impression that Emerson Street has become an open-air Westfield’s mall. While it’s a case of “all hands to the pumps” when it comes to buildings erected immediately after the 1931 earthquake, like the effort put into saving the Art Deco frontages of the buildings that were osmosed into the modern glass and concrete behemoth that is Napier’s new Farmers department store (I do think this made the building look a bit “hodgepodge”, though), pre-1931 buildings like the Commercial Hotel (to be replaced by a modern Art Deco-esque, single storey block of shops) and the 1913 Williams Buildings (which is apparently to be demolished and also turned into a single storey shopping block, but with a carpark on top ffs!) have either fallen to, or are set for the wrecking ball without so much as the blink of an eye, or an “Aww” from our local authority. Oh dear, too expensive, never mind. Once again, the deterioration of these buildings is the fault of their owners, not the council, but when they put so much money, effort and promotion into saving Art Deco buildings, it seems utter madness, arrogance or ignorance not to try their best to protect or save central Napier buildings, erected before 1931, that actually survived the earthquake! If you look at the likes of central Wellington or Auckland, you will see an eclectic mix of old and new buildings. Century-old masonry sits happily alongside modern glass and aluminium. Georgian and Gothic low-rise frontages seamlessly mould into modern glass and metal multi-storey office blocks. If the Auckland and Wellington City Councils and the owners of those buildings can preserve the old and integrate it with the new on such major scales, why can’t the Napier City Council and local building owners do the same on a smaller scale? Why must Napier lose 100 year old heritage buildings, only for poor modern-day interpretations (with roof-top car parks – what a ghastly thought) of an overpowering architectural style 20 years its junior to take their place? It doesn’t seem fair. Napier City Council must try harder. This entry was posted in Hawke's Bay, Opinion, Politics and tagged Architecture, Napier, Opinion by Andrew Frame. Bookmark the permalink.